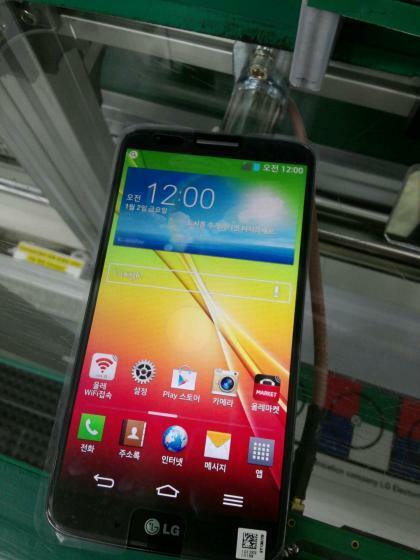 The new live online leaked photos of the new LG G2 confirmed the battery capacity. It was previously an obvious doubt but this time, it is confirmed. This smart looking phone has been shown completely in the images that were leaked. The photos that were leaked do not only show the front but also the back of the new upcoming device. 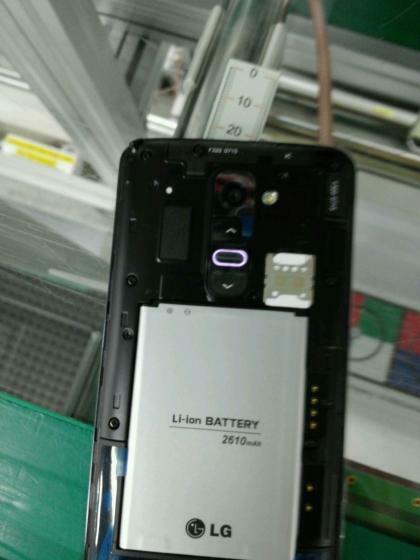 We have seen multiple image leaks along with different specs but never got a solid proof of the battery capacity of the LG G2. But this time we got the info about it as well. The LG G2 just can’t stay off camera these days. There is a 2,610mAh juice pack in the LG G2. The 2,610mAh juice pack that is user-removable. This is more convenient as a user can easily carry an extra battery and continuously keep using the device for those extra longs spells away from chargers. The display of the new upcoming device LG G2 is 5.2″ 1080p display as shown in the images. The company has ditched hardware keys in favor of software ones, which will have a transparent background. LG has also given the status bar the same treatment. The display of more than 5 inch comes to as no surprise since many of the flagship devices from other manufacturers are having the same screen size. Still a 5.2 inch screen with a 1080p display is something that you should feel excited about. According to the leaked news of G2, the device will be powered by the Snapdragon 800 chipset. It will have a 2.3 GHz quad-core Krait 400 processor along with 2GB of RAM in it. At the back of the new device, you can see and spot the 13MP optically stabilized camera with LED flash and the volume rocker around it. It’ll be interesting to experience how the unique volume rocker placement would feel once we get some personal time with the device. The company has posted a second teaser for the upcoming flagship about the New York event where it’ll be announced to the general public. August 7 is the event date in case you are wondering when it is going to happen.